As that bloke with the astonishingly large moustache says, “it’s not easy being green”. But we try to do our bit to help the environment at The Old Piggery, and we encourage our guests to do the same. Environmentally-friendly products: we try and use organic, environmentally friendly cleaning products at The Old Piggery. These have the added advantage of being kinder to humans and dogs too! 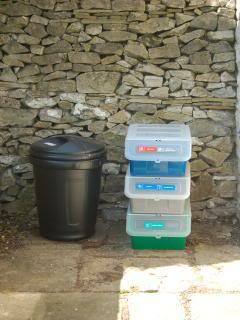 Recycling: outside the cottage you will find recycling tubs for paper, cardboard, glass, plastic, tins and drink cans. We also support our local Freecycle group and any items that are replaced as part of our ongoing cottage refurbishment are donated to Freecycle for reuse by others.